BJP sources said leaders have been told that AAP had “falsely created a perception” that the BJP-ruled MCDs are responsible for sealing “even though it has been done on orders of the Supreme Court-appointed monitoring committee”. Fearful that a combination of sealing, GST and demonetisation could hurt them come May 12, leaders of the BJP’s Delhi unit are focusing all their energies on the trading community, traditionally considered the party’s vote bank. Party sources said leaders have been told that AAP had “falsely created a perception” that the BJP-ruled MCDs are responsible for sealing “even though it has been done on orders of the Supreme Court-appointed monitoring committee”. Party spokespersons have, hence, been told to be “aggressive on the issue and clear the party’s stand”. On Saturday, a sealing drive in Mayapuri had taken a violent turn, prompting AAP to lash out at the Centre and the BJP. To increase activities around traders, the BJP state leadership recently organised a meet with them at its office, 14 Pant Marg, during which party leaders spoke at length on these issues. 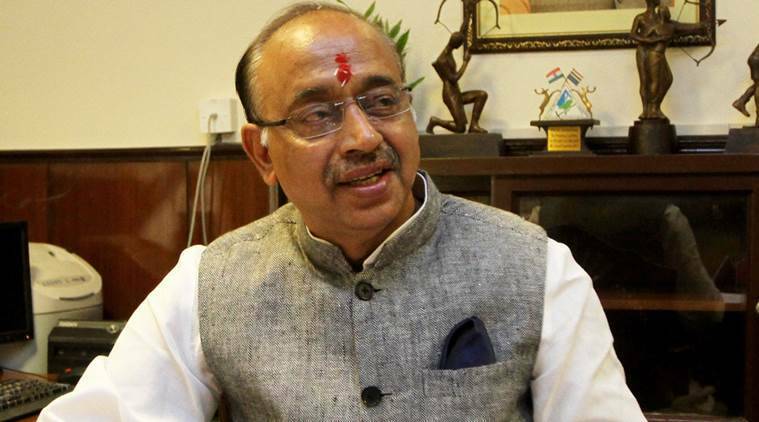 Union Minister Vijay Goel has also organised several meetings with traders at his residence, and met those running shops in Mayapuri on Monday. “Local associations and traders should be permitted to carry out some other business activity, which doesn’t generate pollution, at the same site,” he told them. PM Narendra Modi, meanwhile, is set to address a rally at Talkatora stadium on April 19. “If doubts remain in the minds of traders, it means we have failed to communicate effectively,” a senior party leader said, on the message passed to the party members.